Enjoy family friendly true horse stories right here. Bring your best story telling voice and grab the kids for some good ol’ fashioned story telling fun. Wherever you find horses and horsemen, you’ll find stories forged from real life events that often take even the participants by surprise. You've heard the old adage, “truth is stranger than fiction”…. boy howdy, ain't that true! Here you’ll find genuine horse stories of thrilling adventure, quiet solitude, heart break and unexpected mishap. You’ll even find stories of events that seemed to be touched by the hand of God Almighty himself. Every horseman has a story. Sometimes we tell stories to brag about our horses and sometimes we tell them for the lessons they hold. Tales of caution warn other riders of what not to do, reminding us all that anything can happen, any place, anytime….even to experienced riders. There is something special about true horse stories (like the bear in camp). I think it’s because we connect more deeply with the story teller. It’s that human connection that draws us in. We horsemen are full of mistakes, triumphs, fears and determination; and right there beside us...is the ever childlike, ever innocent, ever righteous horse that changes our lives. 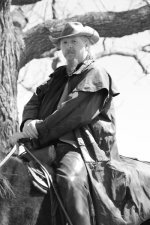 These are my true horse stories, and stories of friends and other horsemen that I have had the privilege to know and ride with. Each story gives a glimpse into the events that shaped our real life experience as horse owners. It is my expectation that you will be entertained by these horse stories. If you find that you are moved to tears and laughter, then I have done my job. Stories are meant to be told and shared. If you are enjoying them, spread the word so your friends can enjoy them too. True Horse Stories...Just click and read! A Once in a Lifetime Love Most people only dream of true love…. I lived it. When I was fourteen, my Mother let me adopt a wild Mustang from the Bureau of Land Management. We drove three and a half hours inland to the holding corrals…. Shut Up and Ride! You'll laugh at the humor in this down home story of a Mother teaching her teenage daughter to overcome her fear of horses. And a few other valuable life lessons. 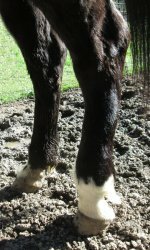 Are you looking for more stories and books on horses? Sharon's Corner Bookstore is loaded with great horse books for readers young and old. 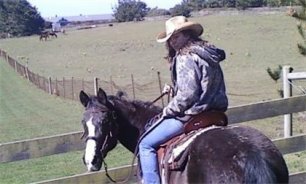 She's got everything from fictional entertainment to non-fiction how-to and instruction on everything equine - to entertain, educate, and enlighten you. If you enjoy these stories, chances are your friends will too! Share them using the social links below.